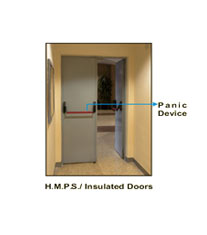 Insulated Doors are suitable for all applications where hygiene, temperature control and reliability are of paramount importance such as: Cold Rooms, Freezers, Chillers, Food Processing Areas, etc. With our range of insulated doors, the customer can expect a quality product at competitive price, manufactured to a critical deadline. 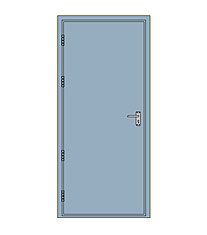 We are the leading supplier of Fire Proof Door made from high quality material at competitive prices. AlHayatt Interiors (Engineers & Contractors) are leading manufacture, supplier, trader, distributor, wholesaler and exporter of Fire Proof Metal Doors. Production Capacity: 1500 square meter as per customer demands. Delivery Time: Within 5- 15 days. 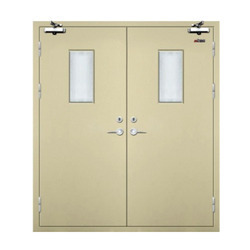 Insulated Metal Doors offered come in innovative shapes with durable frame work support which makes these long lasting in usage. Coming in different height and width choices, these doors feature designs that are based on latest collection as preferred and demanded in the market. Further, these metal doors can also be custom fabricated as per the specifications provided by the customers. Being highly preferred by one and all, these doors are of premium quality and come flawlessly designed using quality fabricated material so as to perfectly match up to the specific tastes and finish preferences of the customers. 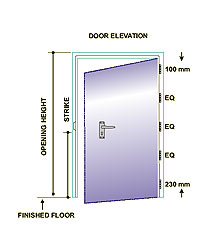 Looking for Fire Proof doors manufacturer India ?